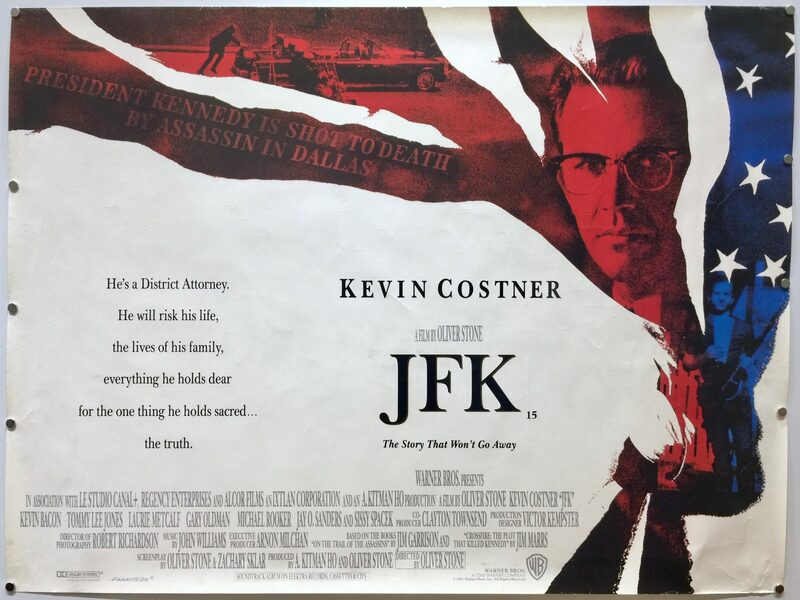 JFK is a 1991 film directed by Oliver Stone who co-produced the film with A. Kitman Ho. 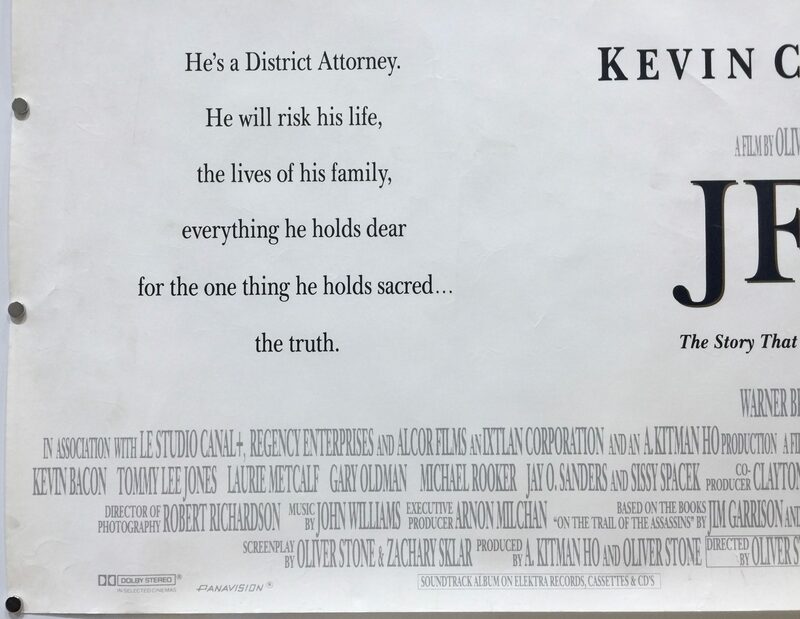 He also co-wrote the screenplay with Zachary Sklar who adapted the film based on the books On the Trail of the Assassins by Jim Garrison and Crossfire: The Plot That Killed Kennedy by Jim Marrs. 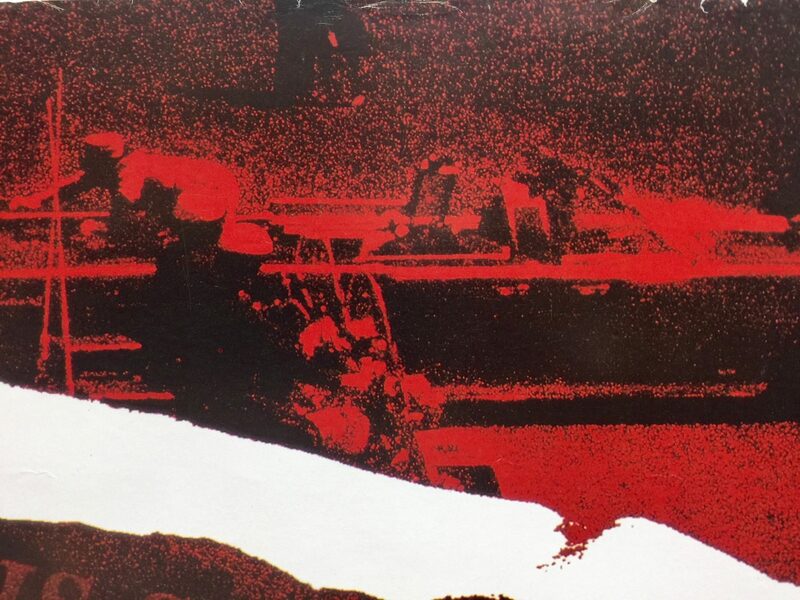 Oliver Stone described this accounts in the books as a “counter-myth” to the Warren Commission’s “fictional myth”. 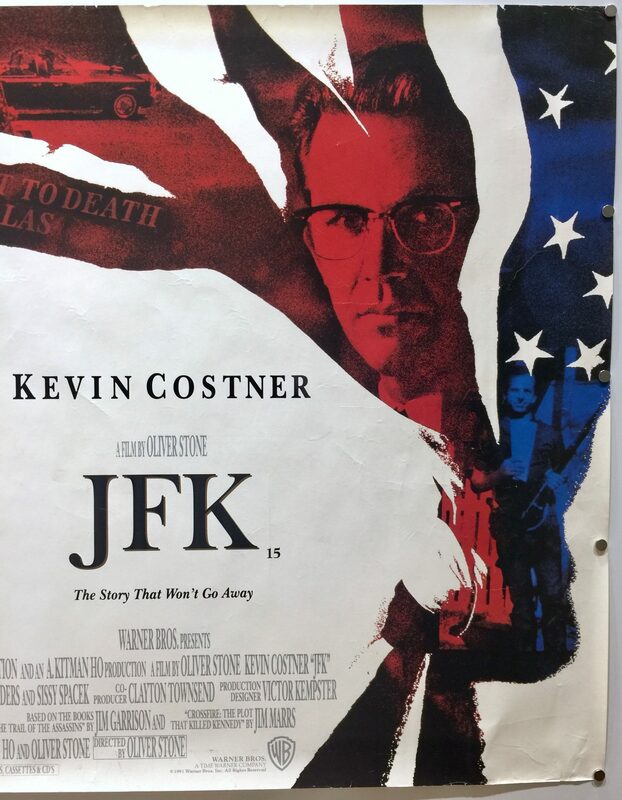 JFK stars Kevin Costner, Kevin Bacon, Tommy Lee Jones, Laurie Metcalf, Gary Oldman, Michael Rooker, Jay O. Sanders and Sissy Spacek. 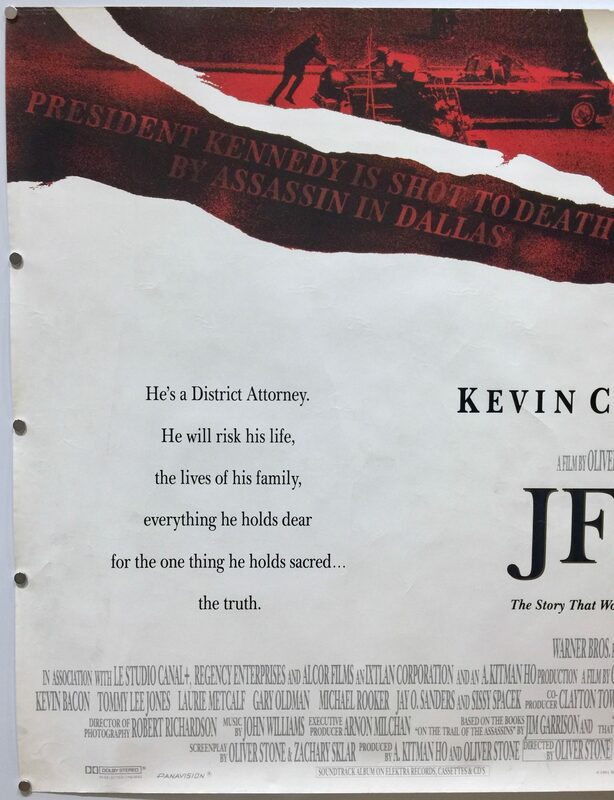 The storyline for JFK examines the events leading up to the assassination of John F. Kennedy and alleged cover-up through the eyes of former New Orleans district attorney Jim Garrison. 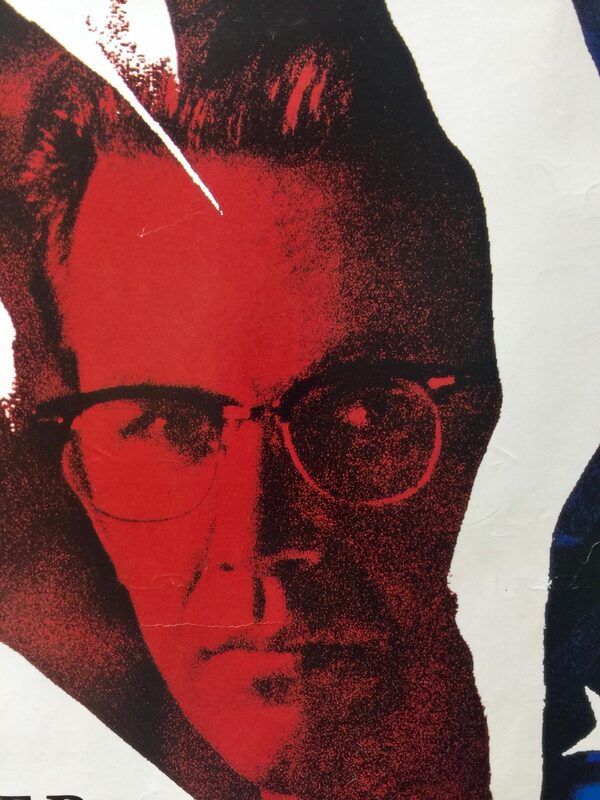 Garrison filed charges against New Orleans businessman Clay Shaw for his alleged participation in a conspiracy to assassinate the President, for which Lee Harvey Oswald was found responsible by the Warren Commission. 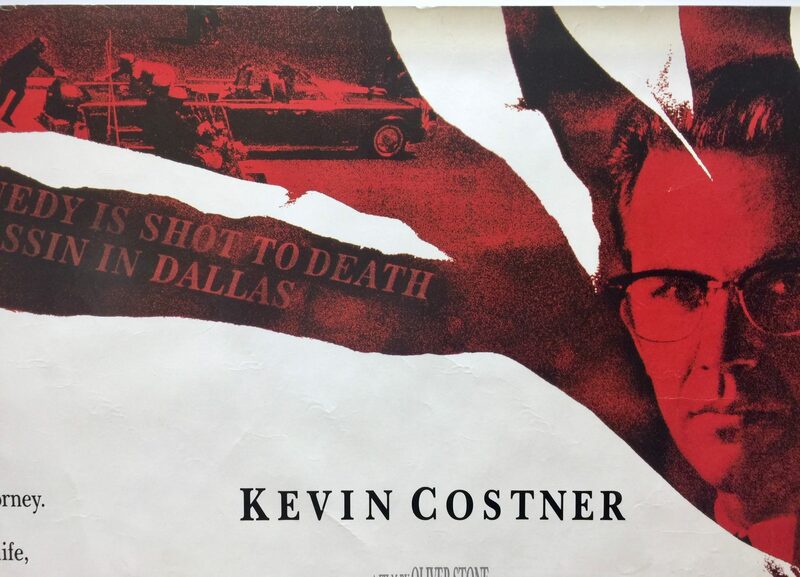 Oliver Stone wanted to recreate the JFK assassination in Dealey Plaza, Dallas. In order to achieve this the producers had to pay the Dallas City Council a substantial amount of money to hire police to reroute traffic and close streets for three weeks. 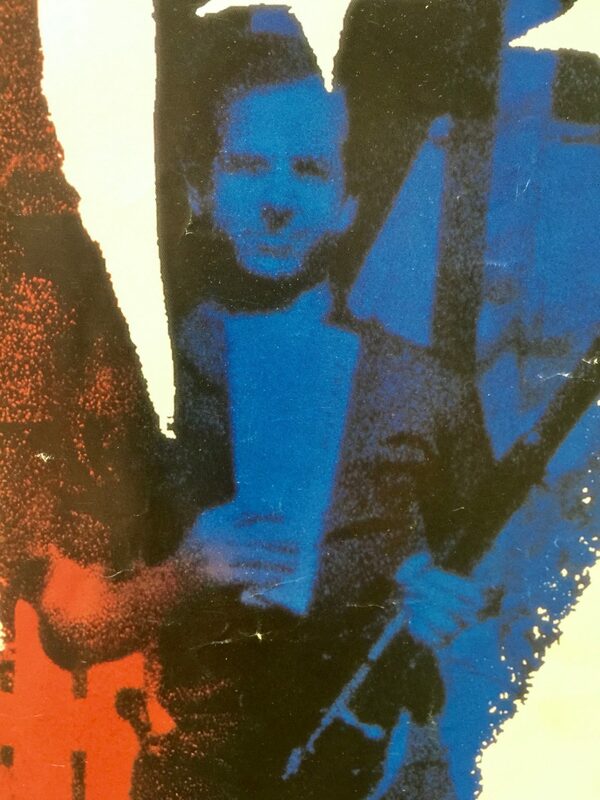 However, getting permission to shoot in the Texas School Book Depository was more difficult. They had to pay $50,000 to put someone in the window from which Lee Harvey Oswald was alleged to have shot JFK from. One of the producers said that the hardest part was getting the permission to restore the building to the way it looked in 1963 and took five months of negotiation. 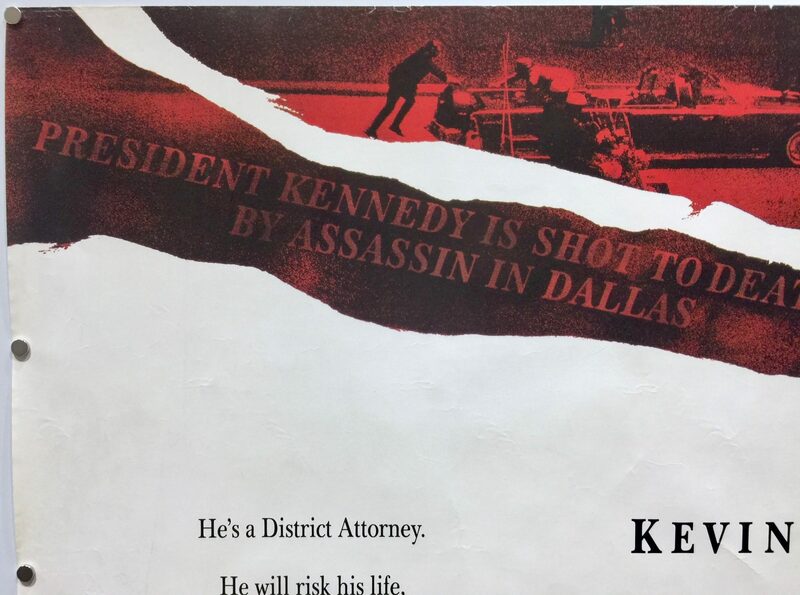 It cost $4m to restore Dealey Plaza to 1963 conditions. 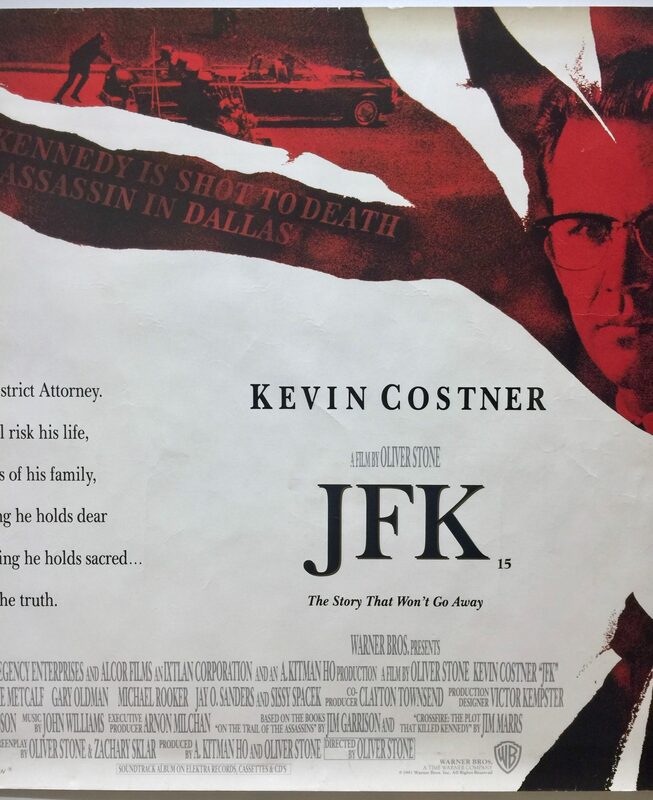 When JFK was released it became embroiled in controversy with many major US newspapers running stories accusing Oliver Stone of taking liberties with historical facts, including the film’s implication that President Lyndon B. Johnson was part of a coup d’état to kill Kennedy. 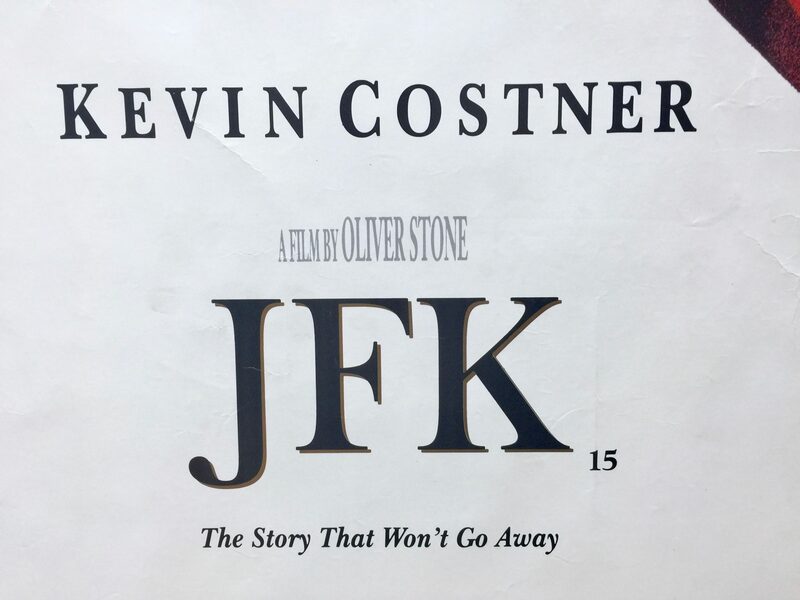 However, on Rotten Tomatoes it hold a strong rating of 84% with the general consensus saying, “As history, Oliver Stone’s JFK is dubious, but as filmmaking it’s electric, cramming a ton of information and excitement into its three-hour runtime and making great use of its outstanding cast”. On IMDb it holds an 8 out of 10 rating. 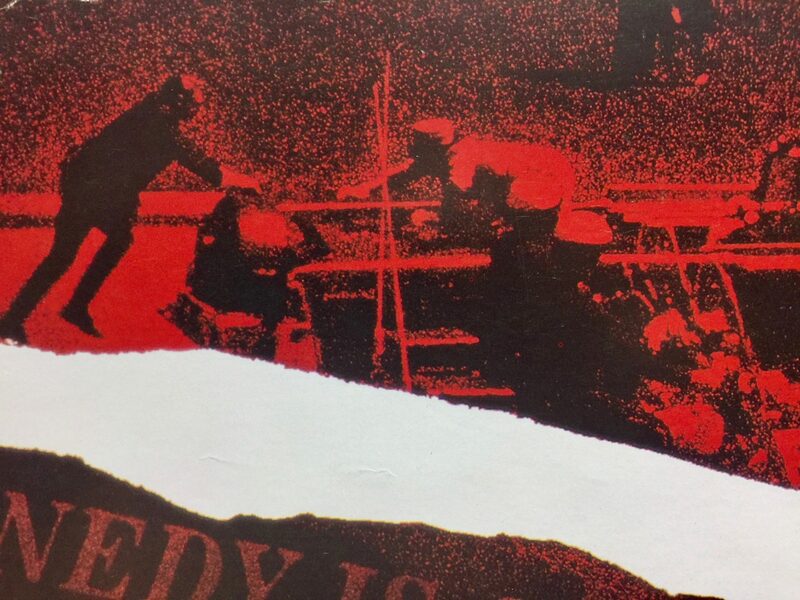 Roger Ebert awarded JFK four out of four star and praised the film, saying “The achievement of the film is not that it answers the mystery of the Kennedy assassination, because it does not, or even that it vindicates Garrison, who is seen here as a man often whistling in the dark. Its achievement is that it tries to marshal the anger which ever since 1963 has been gnawing away on some dark shelf of the national psyche”. 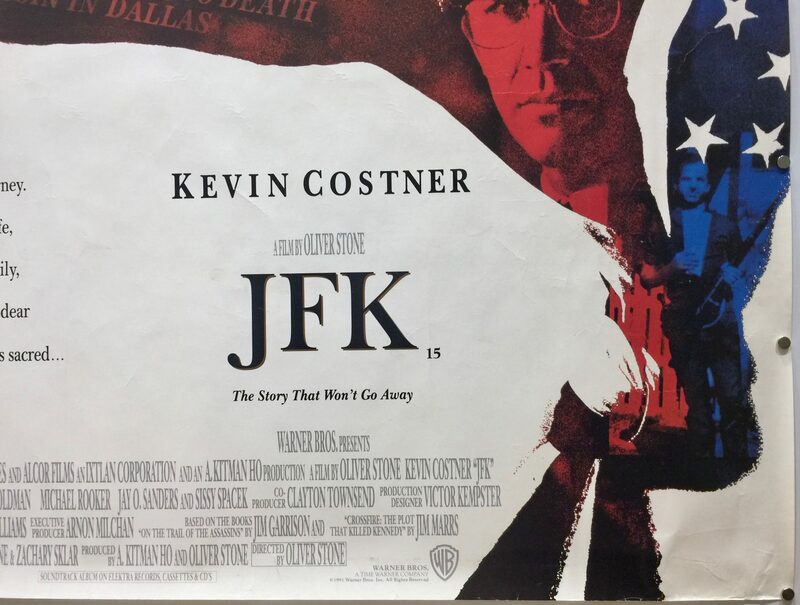 JFK started slowly at the box office but despite the controversy went on to achieve strong results. Produced on an estimated production budget of $40m, it made $5,223,658 in the opening weekend of release in the US. Worldwide box office receipts grossed $205,405,498. At the Academy Awards in 1992, JFK, was nominated for eight awards and won two for Best Cinematography and Best Film Editing. At the Golden Globes it was nominated for four awards and won Best Director. At the BAFTA Awards the film was nominated for four awards and won two for Best Editing and Best Sound. 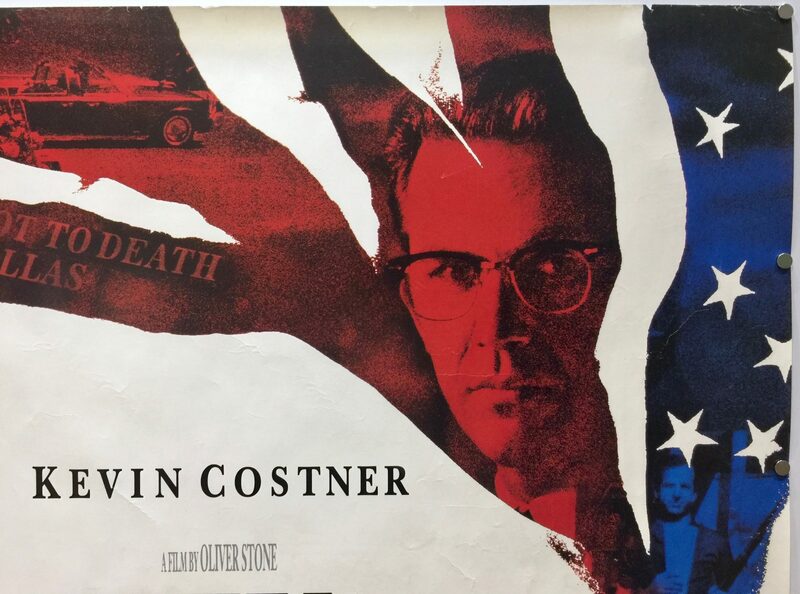 Oliver Stone went on to make two more films about American Presidents. He followed JFK with Nixon starring Anthony Hopkins in 1995 and W. In 2008 which starred Josh Brolin as George W. Bush. 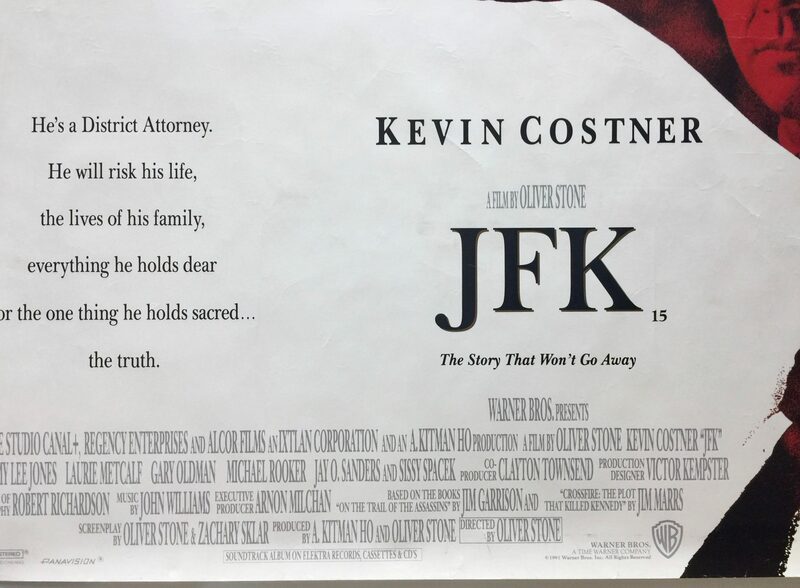 JFK remains his most successful film out of the three. He’s a District Attorney. 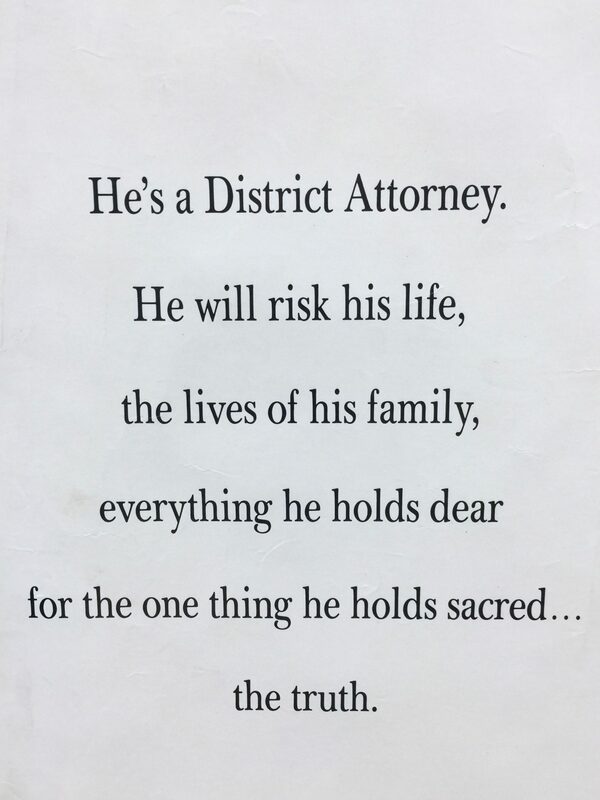 He will risk his life, the lives of his family, everything he holds dear for the one thing he holds sacred… the truth.